Federal tax fraud charges, which are also known as tax evasion, are a serious ordeal to contend with because the consequences are daunting and can involve serving time in federal prison. The tax fraud attorneys at the Law Offices of Brandon Sample are dedicated to representing clients facing a variety of federal criminal charges, including federal tax fraud. Attorney Brandon Sample works diligently to make sure that clients are informed every step of the process in their federal tax evasion case. Before a tax fraud charge is brought against a defendant, the case is investigated by an IRS Criminal Investigator. The major reason why the government is so aggressive in investigating and prosecuting tax evasion cases is because government revenue is collected through taxes based on voluntary compliance with the income tax code. This means that if some individuals try to avoid paying the government what they actually owe in taxes, the government’s revenue collection apparatus goes into action. The IRS takes every viable opportunity to make the public aware of its victories in tax fraud cases so that everyone is discouraged from violating the federal tax laws. This is why it is so important to retain a tax fraud lawyer as soon as your IRS problems begin, or even before they start. 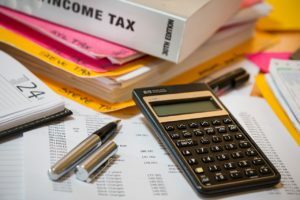 The scope of federal tax evasion charges can be very broad because it is essentially a crime of avoiding paying the government the tax amount that you owe. There are several federal laws that cover federal tax evasion crimes, as set forth below. 26 U.S.C. 7201 makes it a crime to evade an assessment of taxes or the payment of taxes. To convict a defendant, the government must show that there was an unpaid tax amount owed to the federal government, the defendant took an affirmative act to avoid paying the rightful tax amount and the defendant did so knowingly and willfully. Being convicted of tax evasion can result in the imposition of a fine up to $100,000 or a federal prison sentence of up to five years. 26 U.S.C. 7203 makes it a crime to fail to file a tax return, supply required information to the IRS or make a payment as required by the IRS. Rather than requiring an affirmative act as does the previously mentioned statute, this law only requires that defendant fail to do something he is required to do. The penalties for a violation of this tax fraud statute are less severe in comparison. A convicted defendant will have committed a misdemeanor and can be fined up to $25,000 as well as serve up to one year in jail. 26 U.S.C. 7205 makes it a crime to provide false information to your employer concerning taxes. For example, an employee cannot willingly claim more exemptions than he knows that he is entitled to. The potential fine for this tax fraud violation is up to $1,000. 26 U.S.C. 7206 makes it a crime to basically lie on your tax return statement. This includes lying to the person hired to prepare your taxes for you. This is one of the more serious tax crimes that you can be convicted of. As such, if you are charged or under investigation for such an offense, you need to retain a tax fraud attorney immediately. A conviction may result in you serving up to three years in federal prison as well as a fine of up to $100,000. 26 U.S.C. 7207 makes it a crime for a person to knowingly and willfully submit a false or altered document to the IRS in response to a request during an audit. This form of tax fraud is punishable by up to a $10,000 fine or up to one year in jail. What Steps Should You Take if You Are Audited by the IRS? If you know that you are being audited or investigated by the IRS, you should retain a knowledgeable tax fraud attorney immediately. It is important to share all information concerning the audit and your tax return with the attorney. You should not participate in any interviews with the IRS before consulting with your tax fraud lawyer, but it is very important to respond in a timely manner to all requests from the IRS. You should assume that all of your activities are being monitored and be exceedingly careful to not engage in any suspect behavior while you are under audit. You should be aware that any of the information that you give to the IRS or any oral responses you provide could be used against you in a criminal matter. There is no privilege in any of the discussions between you and a representative of the IRS. Call the Law Offices of Brandon Sample at 802-444-HELP (4357) to schedule a consultation with tax fraud attorney Brandon Sample about your federal case as soon as you find out that you may be facing criminal charges. It is important to retain counsel as soon as possible to both protect you and to preserve all of your rights in such proceedings. If possible, Brandon will seek to divert or avoid prosecution in its entirety.